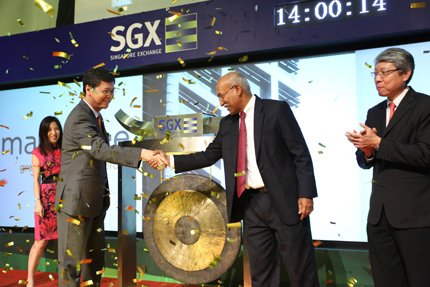 Listed on the SGX-ST on 7 March 2013, Mapletree North Asia Commercial Trust (“MNACT”) (formerly known as Mapletree Greater China Commercial Trust1) is the first REIT that offers investors the opportunity to invest in best-in-class commercial properties situated in prime locations in Hong Kong SAR, China and Japan1. d) Japan: three office buildings in Tokyo (IXINAL Monzen-nakacho Building, Higashi-nihonbashi 1-chome Building and TS Ikebukuro Building); an office building in Yokohama (ABAS Shin-Yokohama Building); and two office buildings in Chiba (SII Makuhari Building and Fujitsu Makuhari Building). MNACT is managed by Mapletree North Asia Commercial Trust Management Ltd. (formerly known as Mapletree Greater China Commercial Trust Management Ltd.), a wholly-owned subsidiary of Mapletree. For more information, please visit Mapletree North Asia Commercial Trust.